Church planting wasn’t on my list of things I hoped to do someday. But it has helped me to become a better human. It’s helped me get up and get moving because if we’re being real (p.s. there’s no other way to be unless we want to be boring and horrible pretenders) there are days when I want to be in my bed for all of it, or maybe buy an actual cave and live there because it’s easier than being human. 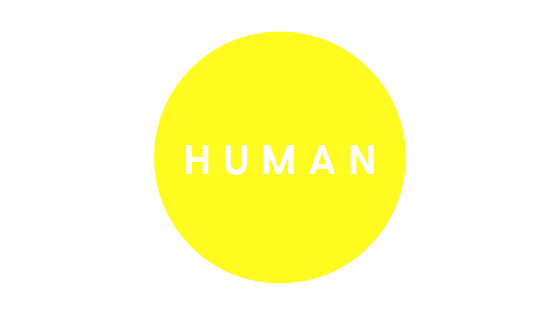 That’s why we’ve been working on a new series for our church called HUMAN. All of us are humans. And we’re bonkers sometimes and also equally beautiful and wise. Then, let us know and we’ll send what we are making as we are making it. Human resources for the humans! There's nothing like being real together. Join our mailing list to get content, coaching, lists of things we adore! Success! You're on our list! We'll be sending HUMAN resources along right away. If you haven’t explored your type yet, you can. Take a look at the types and wonder about which one sounds most like you. As we journey through the complex personalities of the Bible, you might find yourself relating to some stories more than others, chances are you are similar in the way you’ve learned to process pain. Last week we focused on Miriam, the sister of Moses, we think she could be an eight and looking at life through her eyes has given me an extra dose of compassion for the eights in my life. Our launch into church planting it happened to us without solicitation. I feel like we’re launched into our personalities in a similar way. We didn’t ask for whatever happened to us, but it happened, and it gave us a reason to create some ways to cope with it. I remember my husband and I talking when the opportunity surfaced to plant a church. It came out of nowhere just as quickly as thoughts do. Like most unexpected things, I wasn’t sure I was ready for this one. Given we only had a few days to decide, I felt the kind of emotion that stems from fear mixed with curiosity and panic. It’s in moments like this that we see what we are made of. We see the intricate and complex highways we have built to protect ourselves. We see some potholes and some places to hide too. But just as much as unexpected things can throw us into the not-so-incredible versions of ourselves, they can also throw us into the arms of Jesus. It’s in those arms that we become better humans. God is with us, Jesus is near, the Holy Spirit never leaves. The unexpected shifts give us a chance to notice what’s happening around us or to be jolted from sleep walking through our lives. For me, it was a chance to see the kind eyes of Jesus telling me that I haven’t been abandoned. It was a chance to put my fears on the altar and ask for help walking through them. I saw myself ready for another chapter of deconstruction, okay with the shadow places, curious about the beauty I would find when I started asking questions about our identity again. I started dancing more. I started laughing more. I started listening more. My upbringing, education, and experiences have subtly taught me to react when I see something wrong in me or around me. Make a plan and tackle it has been my way since I can remember. Now, I’m looking inward again and it’s helping the outward expressions to soften or in some cases become more bold. It’s in a space of gratitude for the ongoing transformation that I’ve been working on the HUMAN message series. HUMAN message series to explore the ache, the hope, and the opportunity of your human personality. My curiosity for understanding my personality was stirred up again reading a book called The Road Back To You. I have been doing the research and creating notes for my husband Coy to form preaching outlines. It’s best that Coy systematizes the thoughts. I’m a 7 with a 6 wing. In a healthy place I can move to the positive attributes of a 5. So, for me, the idea of buying a cave and doing research for months sounds really wonderful and cozy. Marrying a 1 has changed my life and I appreciate everything that he brings to our house, our family, our church. Pioneers need to have focus, discipline, an ability to stay the course. Coy has all of these things and that’s why he’s the best at taking my notes and turning them the best flow for preaching. You can watch all of this unfold on YouTube, like and subscribe if you want to see more! I’ll be sharing the journey with you here on the blog, but we are sharing even more on our Facebook page. The page is also an extension of our stories, questions, and community. Feel free to come by anytime! Let’s return to Eden together, let’s find the goodness we were made of, let’s dance (or not dance) together, let’s lay down and take naps in peace, let’s change the world or change a small part of it, let’s be pro’s at being who God created us to be.